Wanderbag brings together artists, design collectives, and small businesses to create custom tote bags in the spirit of environmental responsibility. The project was conceived and produced by New York based Cindy Heller. 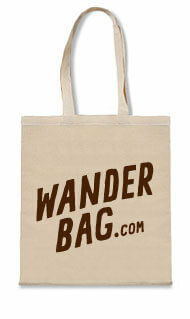 The ten most popular bags from www.wanderbag.com will be unveiled in party fashion at the SI on August 21, 9PM. Wanderbag is made possible with support from Cabaret Voltaire (Zurich), Franziska Bodmer (Zurich), and Carla Stoffel (New York).